Most of these ideas came from listening to the radio program “Ryan & Gretchen” in the morning on Q108 (107.9 FM in Nashville). When I tuned in, they were compiling this growing list of items “live” on the air — with listeners (servicemen and women, as well as their spouses & friends) calling in and adding their own ideas for military care packages. It was great to hear the point-of-view from someone who has been there, done that! Following are the best items recommended for military care packages. Now, for a few really unique ideas that I put together after talking with my nephew who is a U.S. Marine. A customized magazine cover made from a digital photo — you could have a lot of fun with this! Did you know that military working dogs can receive care packages too? They can! A dog bakery sent care packages to military dogs and their handlers. 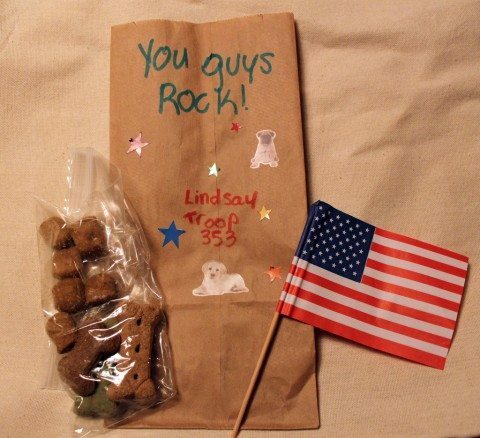 One veterinary office collected canine care packages for U.S. Military dogs serving overseas. A pet soup kitchen donated items for 300 military dogs. If you own a business that makes dog-friendly items, what a great idea this would be for a charitable donation! But you don’t have to own a business to gather some goodies and ship them off to canine soldiers as a gift. 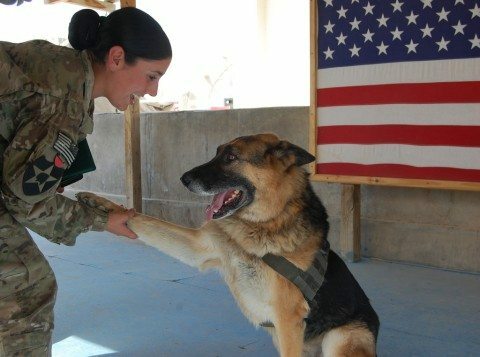 Here’s how to send a care package to a military dog overseas. Give 2 The Troops has a helpful guide for donating items to canine troops which includes a list of specific items. Ideas for gift baskets that you can send to soldiers as care packages. 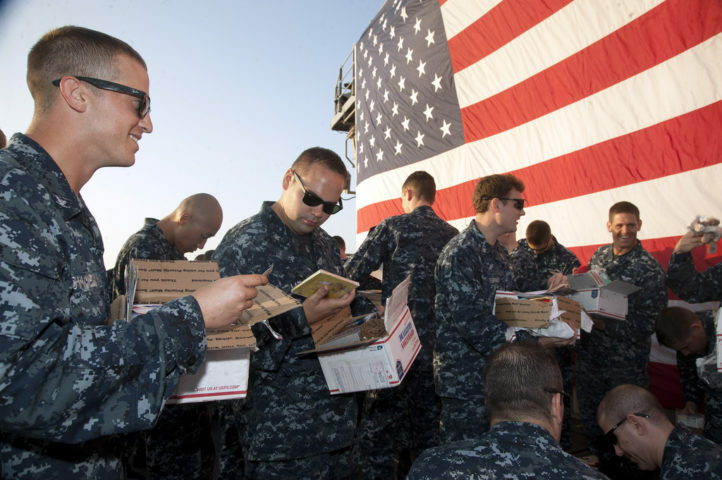 Tips for sending packages to U.S. military overseas. Fun new gift ideas for soldiers and their families. Things that cost less for military care packages. What we sent to a couple of military units in Iraq in the past. 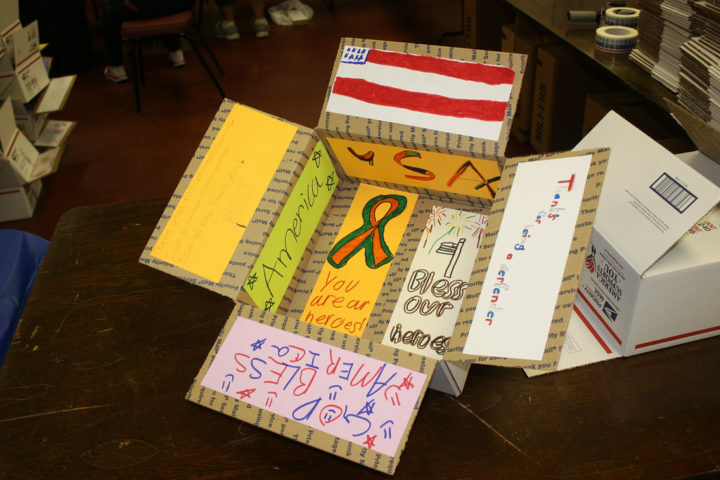 How to find military addresses for those would like to receive soldier care packages. 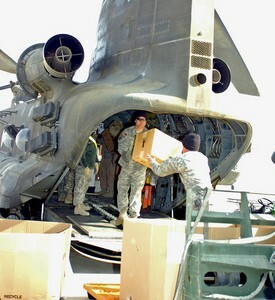 Tips for sending food items to U.S. troops.